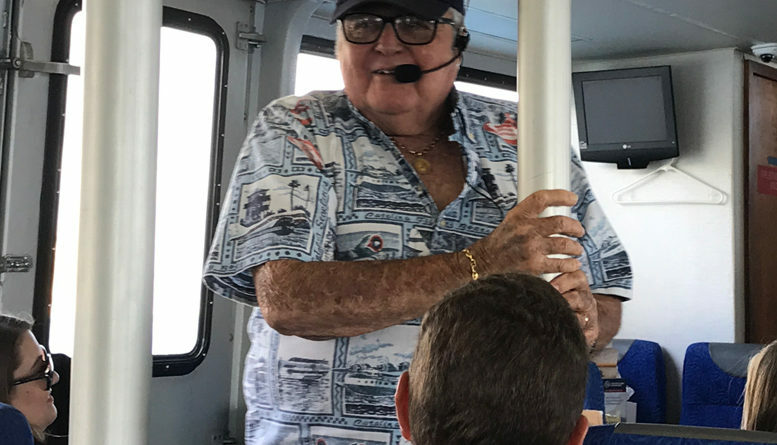 AVALON — Doug Bombard, a lifelong resident of Catalina Island and founder of Catalina Express, will tell his tales of island life aboard the ‘Round the Island Cruise. Embarking on Tuesday, Oct. 16, this unique Catalina experience will allow passengers to circle the entirety of Catalina Island while being shown standout landmarks and more by Bombard and others. The tour will leave from the Catalina Express Terminal at Cabrillo Mole in Avalon and will last from 11:30 a.m. until 4:30 p.m. From there, the ferry will head towards Two Harbors, journey around the West End and return on the Pacific side. In addition to Bombard’s narration, there will be other speakers to add his or her expertise to the tour. A representative from Catalina Island Conservancy is confirmed to talk about the native plants and animals that are special to Catalina. Single tickets cost $200 per person and a double ticket, providing access for two, is $350. Proceeds of this excursion will go towards Catalina Island Museum. Lunch is also included in the ticket price. Alcoholic beverages can be purchased onboard as well. To learn more about the event and to buy tickets online, visit the website at catalinamuseum.org.